There are few things that resonate with me more than reusing parts that were leftover from other projects. The scale of this project will enable me to use a number of scrap pieces that might have otherwise made it into the fire pit. 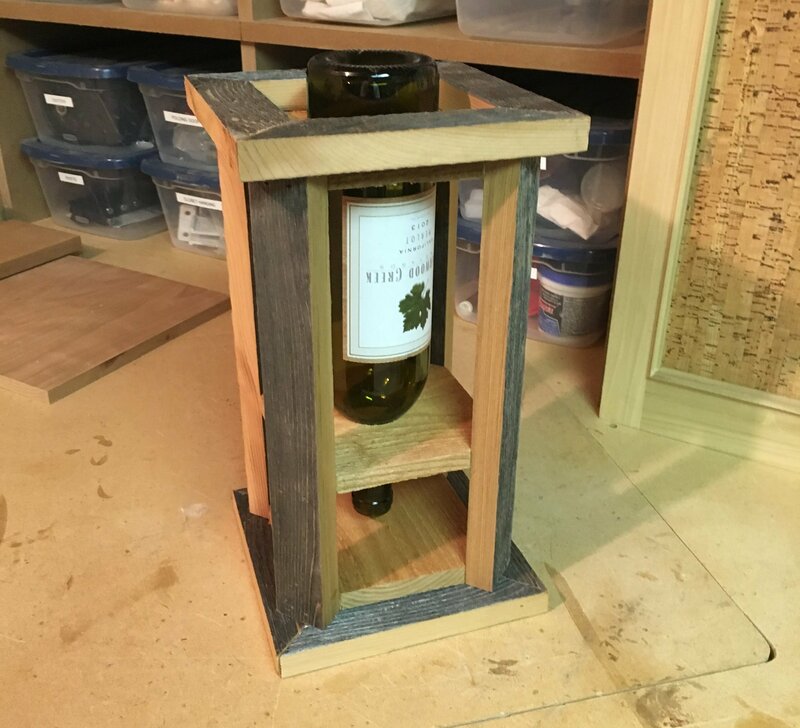 In addition to the wood, the wine bottles are a perfect item to keep from the recycle bin and use it in our own yard. 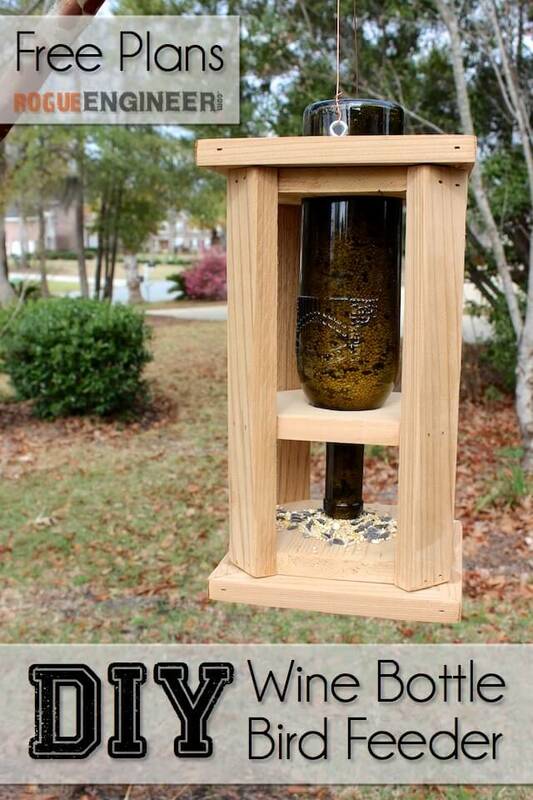 When I saw this plan I thought that it would be a great gift for my wife. Total time to build was about an hour and I had the material at hand. For this project I used Western Red Cedar that was left over from a catalog bought porch swing that was more attractive than it was safe. In any event, I reused the cedar along with some fresh cedar. In about a year, the colors should be pretty close to each other. 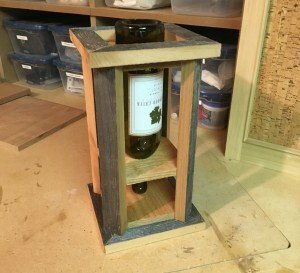 Overall a real cool and simple project with some great plans from the Rogue Engineer. 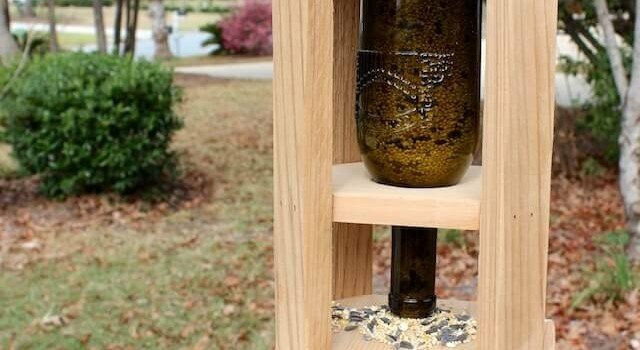 These step-by-step DIY plans will show you exactly how to build a cedar Wine Bottle Bird Feeder that the birds are sure to love.